Learn or improve on your saw piercing technique! 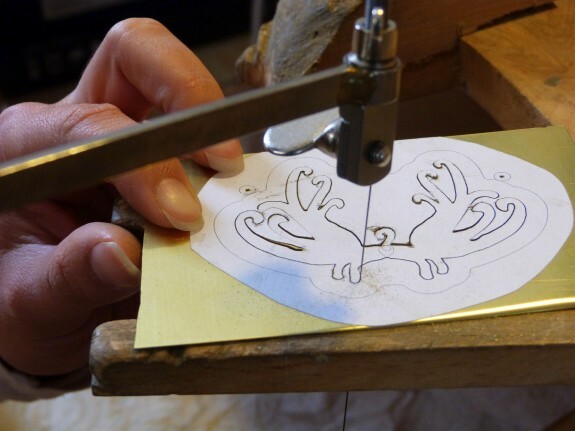 First choose either to make earrings, a cuff or a pendant; design different shapes and forms that you want to cut from the metal and with the tutor’s guidance you will create your own beautiful piece of brass jewellery to take home. £75 – Price includes the materials (brass sheet) and use of the hand tools in the workshop, each workshop is limited to 6 spaces offering a personalised learning experience. The workshop is divided over two morning sessions and includes tea/coffee and biscuits.